With A Little Help From Whole Foods The Geeks Are Bringing Home the Bacon! Welcome to first (and possibly annual) Geeks Who Eat Bacon Week! This week we’ve teamed up with Whole Foods Market to talk about everyone’s favorite pork product (and even a beef one)! Not only will we review a few different types today, but we will also be sharing a new recipe each day this week! To kick off the week, we wanted to talk to you about a few bacons that we found to be pretty fantastic (though aren’t they all good?). So lets get started! Whole Foods Maple Blueberry Bacon- This tasty treat comes out of Whole Food’s meat case. 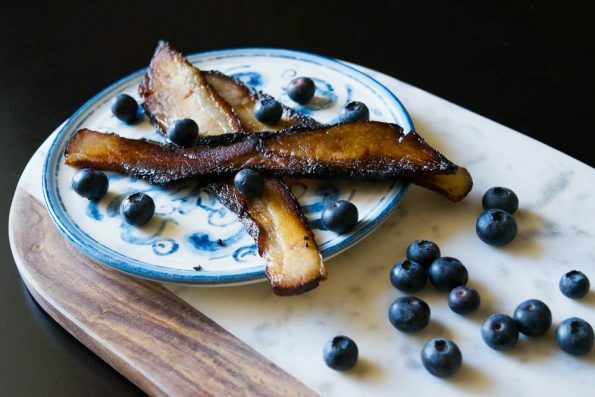 Full of maple and blueberry flavor (yes you can actually taste both), this bacon is a bit different than traditional bacon. It has less of the smoky and salty flavor you’d expect from a bacon. The flavor is more like that of thin cut pork chops enhanced with a bit a smokiness and a lot of blueberry maple flavor. This bacon would be perfect for the person who loves to dip their bacon into their syrup! 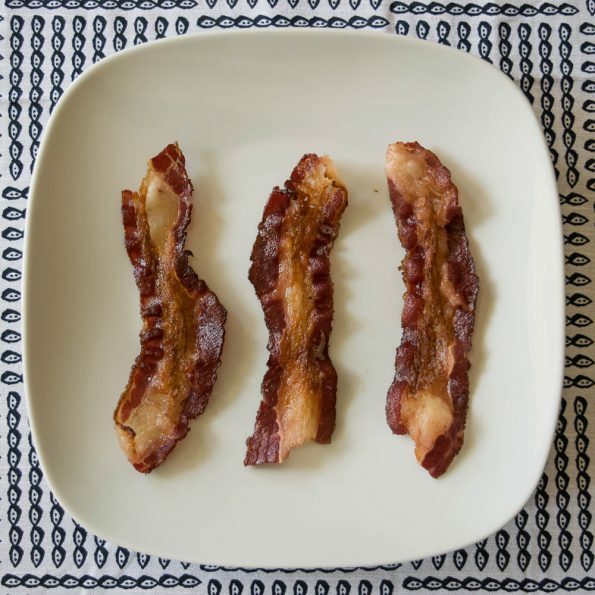 Wellshire Farms Smoked Sliced Uncured Beef Bacon- You read that correctly! Beef bacon! We didn’t know this was even a thing! It’s funny because before you cook it, it looks like thinly sliced brisket. Once it is cooked however, it just looks like large bacon. We shared a bit of this with M’s dad this past weekend and he had the best description. He said, “its like all of the things you love about beef jerky and none of the things you dislike about it.” This is totally the truth! It tastes like traditional bacon but with a bit of a beefy essence. American Homestead Uncured Hickory Smoked Bacon- This is the quintessential BLT bacon. Deliciously perfect for one of our favorite sandwiches. It is what you think of when you think of traditional bacon. 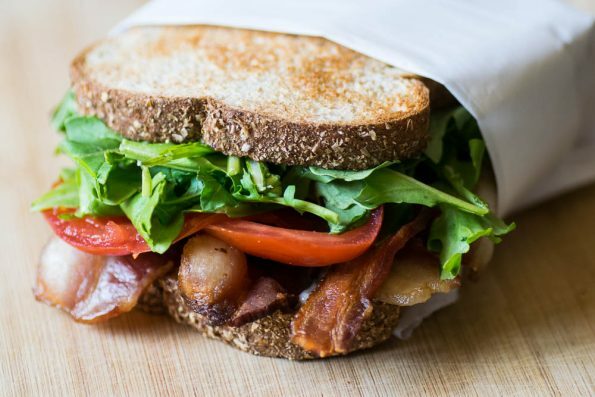 The flavor is exactly what you want and being slightly thicker than traditional bacon, it holds up better in the sandwich without crumbling under the pressure (pun intended). There are some great recipes coming this week so be sure to check back! We are kicking off the recipes with a delicious taco recipe just in time for Taco Tuesday! Don’t forget to share your photos and recipes with us by leaving a comment below or using the hashtag #GWEBacon! We can’t wait to see everyone’s photos! Now if only our apartment would stop smelling like bacon! *The Geeks were given product samples to facilitate this write-up; However, opinions are wholly our own. View our Disclosure Policy for more info.